I had the opportunity to meet Rob Beecham, COO of Beecham Builders, and also part of the leadership team at Montaluce Winery and Estates late last year in Orlando. Down visiting Disney World, I welcomed the chance to meet up and discuss Montaluce and their first vintage. Montaluce is the first of its kind in Georgia, a development conceptualized and planned around wine, food, and community. Located just outside of Dahlonega and north of Atlanta, Montaluce provides the perfect backdrop for a long weekend wine rendezvous or a quick escape from the hustle and bustle of Atlanta. Before bidding adieu, Rob gave me a bottle each of their 2008 vintage Chardonnay, Viognier, Risata, and Cabernet Sauvignon. Tonight I focus on their white wines. Coincidentally, I happened to pair each wine with scallops. On the nose, the Chardonnay displayed consistent notes of green apples and pears, followed by lemon, honeysuckle, and a hint of minerality in the mouth. A crisp, balanced Chardonnay that pairs perfectly with shellfish or salad. A few nights later, I opened the Viognier. This happened to be my first Viognier from the state and will definitely not be my last. A floral nose gives way to peach, apricot, and citrus. A delicious example that showcases the varietal expression of Viognier. Bravo. Stressing quality over quantity, Montaluce has all the key ingredients for a bright future in Georgia. 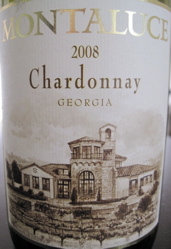 I look forward to enjoying a bottle very soon on my next visit to Georgia’s wine country. In the meantime, I recommend a visit to Montaluce (and to my Georgia friends, what are you waiting for) and be sure to tell them TheOther46.com sent you. Cheers! * FYI, the beautiful photo (and icon) displayed on the home page was shot by Biskuit and can be seen on Flickr. Great place, good people, incredible food (chef Hartman’s crew at Le Vigne makes meals easily worth the hour drive north from Atlanta), and surprising wines. I’m fiercely proud of my home state, and it’s very exciting to see the quality level continue to climb in North GA. Thanks for stopping by. Montaluce is definitely representing the state’s growing wine industry. Once again, I think the sky is the limit, especially after they get a few vintages under their belt. Great people + great wine + great food = a very bright future. Next time I’m in Atlanta, we definitely need to catch up for a tour of a few wineries. Cheers! Trying to bring connection of food and wine like in Europe. I can’t imagine eating a meal in Italy, France or Spain without drinking wine. And they don’t like wines that overpower their food. By bringing farm-to-table and local wine together it is the closest we can come to replicating that culture. Well done. 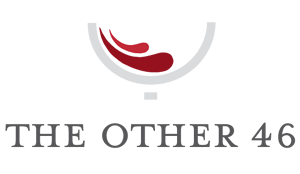 First time reading your blog and love the focus on wine where one might not expect to. Hopefully with producers like Montaluce out there, we will all be able to enjoy wine from our own backyards (well, not literally, though that would be even better). Thank you for your readership and kind words! First, beautiful photography! I was hooked after looking at your Montaluce album! That said, Montaluce is bringing it in Georgia and setting the bar high for Georgia wine. Hopefully more and more people will realize the treasures they have in their own backyards and begin seeking out local wine. Cheers!